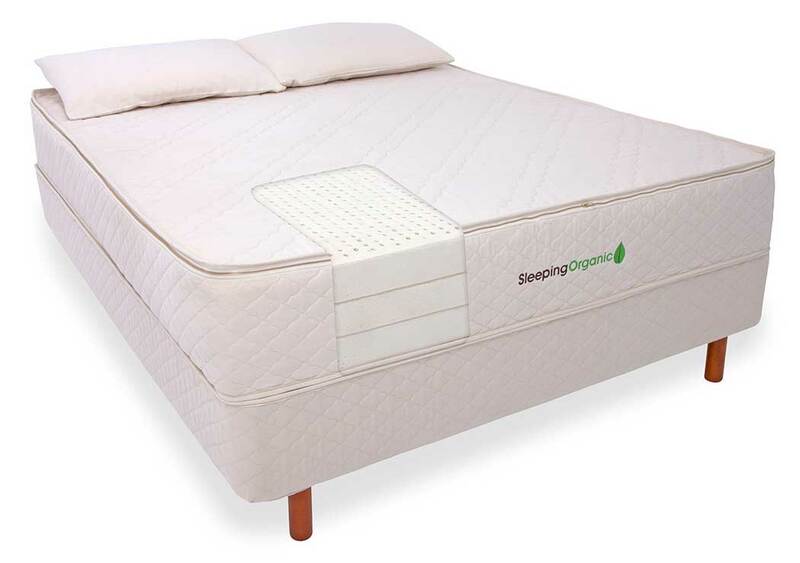 Sleeping Organic™ April Event - Ends Tuesday April 30th: 20% off mattresses, free pillows, free shipping. Extra 5% off when purchasing multiple mattresses and extra $25 off wood foundations (already $25 off) with all mattress purchases. Completely custom mattress configurations mean you’re guaranteed to invest in a bed that will give you the best night sleep of your life. Wondering which latex mattress is right for you and your sleep style? Click here for your personalized recommendation, or check out our closeout latex mattresses here. Completely free of harmful chemicals, from the natural latex down to the zipper. Hand-made in Charleston, SC then shipped free directly to your home. Talalay and dunlop options in stock now, from extra soft to extra firm. Beyond comfort: 100 night sleep trial & 20 year warranty. Click each layer below to customize firmness.Click each layer below to customize firmness. Press ‘split’ to choose a different firmness for each side of the layer. 100% Natural or GOLS Organic? Personalize now and we’ll send over your recommended mattress setup (based on these factors, a decade of experience). You’ll never be forced to choose between an eco-friendly mattress and your perfect night’s sleep again. Over the past decade, we’ve worked to create the most personalized 100% natural latex mattress available today. It’s personalized because you can select the firmness of each latex layer when you build your mattress. Below, you’ll find the four main factors we consider when recommending your perfect configuration through our personalization form. In each section, you’ll also find visuals of our most popular configurations for each factor, like the best latex mattress for side sleepers. A major benefit of Sleeping Organic is that each layer inside the mattress is customizable. While many latex mattress companies only let you choose from soft, medium, or firm for the entire bed, we allow you that selection for each layer! 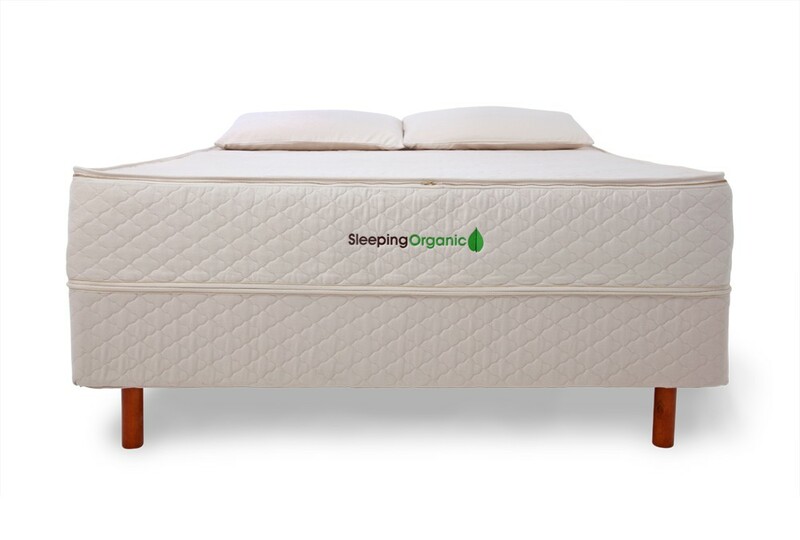 Our dozens of options are what make Sleeping Organic truly customizable. Your bed will be built using multiple layers made up of different firmnesses. However, in these tabs we’ll give you a general overview of what we’d recommend if this was the only factor you’re considering while ordering your mattress. Best for petite side sleepers and those specifically looking for an extra soft mattress, this configuration is what they mean when they say “sleeping on a cloud.” Extra soft beds have a marshmallow-like feel that envelopes and cradles your body. For those who want that extra soft, we strongly recommend our 4 layer mattress. For those who want extra extra soft, we encourage a totality talalay latex bed, like the configuration here. For a completely personalized recommendation, click here. Remember: because your bed is 100% personalized and built with layers, you can make your mattress firmer by rotating a firmer layer toward the top. Most folks prefer a medium feeling mattress, making this our most popular firmness. Medium-feeling beds provide a gentle sleeping surface that leaves room for proper support. A firm bed is for you if you want a supportive feel, but not as hard as the floor! 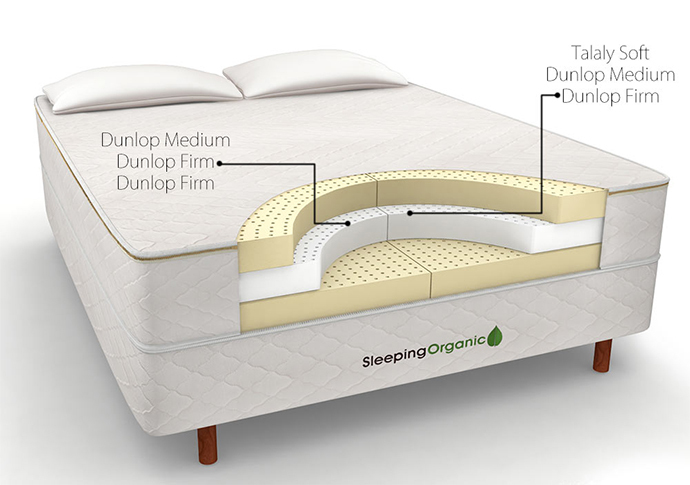 A back sleeper’s first choice, mattresses built to be firm generally include more dunlop layers because dunlop is more supportive than talalay. Remember: because your bed will be custom-built, we advise you order a less firm configuration than you think you may need. We recommend this because you can always make our mattresses more supportive when you get them into your bedroom, by simply bringing the base layers upward. Extra firm latex mattresses are best for someone who know they’re looking for something extra, extra firm and has no hesitations about it. If this sounds like you, then go for it! We recommend sticking with either a 2 or 3 layer bed, with a mix of dunlop firm and dunlop extra firm for the layers, like the sample here (our most popular extra firm). Sleeping Organic means side, stomach, back, and toss-and-turners will all find their perfect night’s sleep. Your sleep position has less to do with how you want to sleep and more to do with how your body needs to sleep. That’s why whether you’re a side, stomach, or back sleeper matters a lot to us when we recommend your mattress setup. In these tabs, we’ll give you an overview of what firmness each sleeper type needs, then one of our popular configurations for each sleep position. We recommend you use our mattress personalization form, but these samples are a great guide! If you’re a side sleeper, you’re in good company. Over 60% of Sleeping Organic customers are side sleepers and our co-founder Brandon happens to be one too. SSide sleepers generally prefer a softer top comfort layer that allows your shoulders and hips to sink into the bed.This helps alleviate pressure points and promotes spinal alignment.The configuration you’ll find here is our #1 all-time best-seller, have at it side sleeper! Generally people aren’t on their stomachs 100% of their sleep cycle, so this personalized multi-layer sleep system allows us to build a mattress for those toss-and-turners out there! Back sleepers love latex mattresses because there aren’t any springs or lumps or pillow-top padding to create pressure points. The smooth, consistent support of latex helps stabilize your back as you sleep. If you’re a back sleeper, we recommend a firm mattress but not too firm. Our full-zip cover and interchangeable layers mean you can always swap rotate the layers around to increase support. We love our mattress so much. Every night is good sleep for both of us. The mattress conforms to our bodies perfectly. We got two different firmness mattresses so my husband who is 220 and I, who am 110, can be supported. The customer service at sleeping organic is awesome as well. From helping us select the correct firmness to buying new sheets it has been a great company. We’ve loved the whole experience. The best sleep of your life is waiting. Enjoy! Weight is an important factor in determining your mattress configuration, as the more you weigh the more material you compress and the softer the mattress feels.Lighter individual exert less force on the latex, heavier individuals exert more force. If we put 100lb human and a 250lbs human on the same mattress, the mattress will feel softer to the 250 person every time. We love the flexibility of the different layer options. It has worked out great that we could split our King down the middle as my husband likes his side softer and I like my side firmer. Customer service worked hard to make everything flow smoothly with all of our questions. I have and will continue to recommend this bed and company to my friends and family. If you and your significant other have different weight ranges, sleeping positions or firmness preferences, we can customize each side of the mattress to meet your own individual needs (for no extra charge)! Don’t worry, you won’t notice a seam or divide in your mattress!However, if you and your partner are super cuddlers, we can always do a solid top layer to eliminate any fear you may have of a seam. When you build your queen, king, or california king sized mattress at the top of this page, look for the “Split” button to split any layer you’d like. 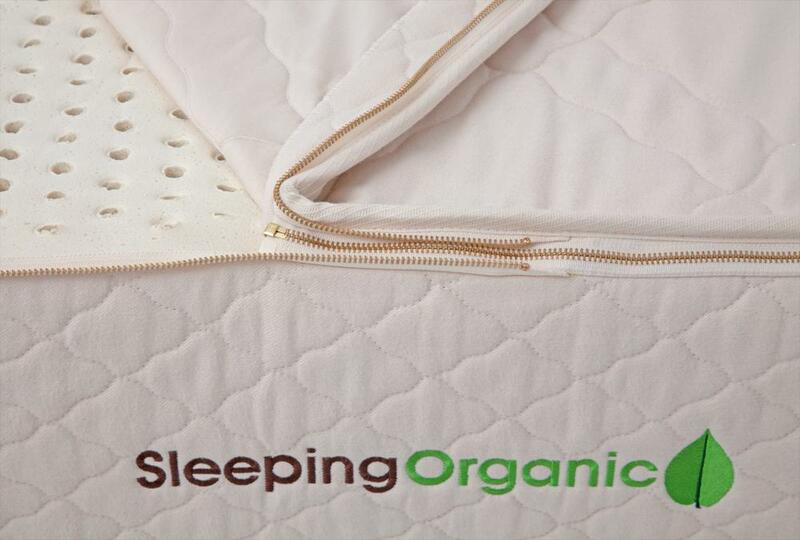 Sleeping Organic is committed to only sourcing the most premium, 100% natural materials available on Earth. To keep this promise, we’ve searched all over the world for the healthiest non-toxic mattress fabrics and components to include in your Sleeping Organic mattress. And met this sheep along the way! At the core of your mattress are the 100% natural, non-toxic latex foam layers. 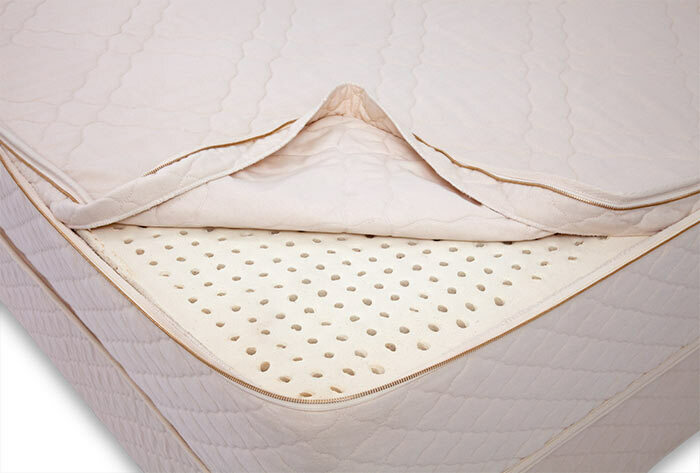 You can customize whether you want 100% natural talalay or 100% natural dunlop latex for each layer, and for the entire mattress you can choose 100% natural or an upgrade to GOLS-certified organic dunlop. We’ve included brief summaries about what these things mean in this section’s tabs. Important for mattress shoppers: there’s a difference between all-natural, or just ‘natural’ and 100% natural latex in mattresses. Natural latex has a blend of synthetic chemicals and 100% natural latex, while 100% natural latex is 100% free and clear of synthetics. This distinction is more important than the difference between natural and organic latex because both 100% natural and organic latex is certified to be non-toxic and free of harmful chemicals found in most mattresses. On the other hand, all-natural or natural latex has synthetics and chemical additives added during the manufacturing process. Like 100% natural latex mattresses, mattresses made with GOLS-certified dunlop are 100% natural and free of harmful chemicals. So, how are organic and natural latex different? By law, organic latex must be certified by GOLS (the global organic latex standard), while 100% natural does not. Though there are regulations for 100% natural, they’re not as strict as the rules for certifying a product as organic. And due to the manufacturing techniques of talalay latex, certified organic GOLS latex is only available in dunlop. Beyond the sustainability aspect of natural vs. organic in latex mattresses, there is no difference when it comes to comfort or longevity of the product. Talalay and dunlop are the two types of latex used in manufacturing mattresses. 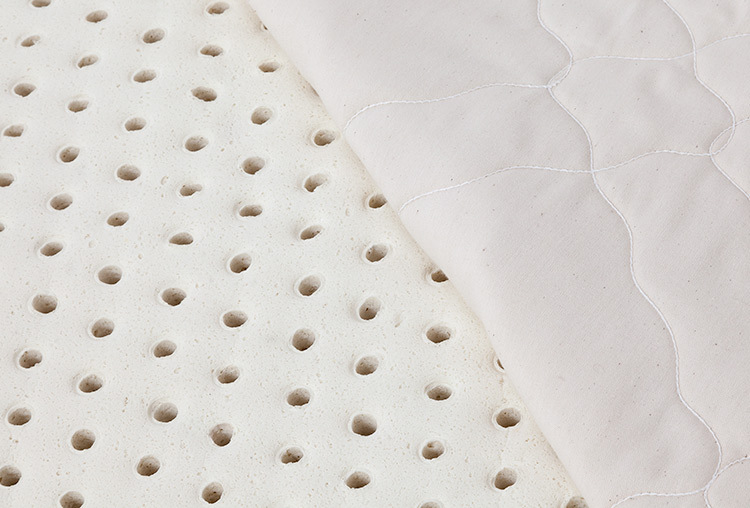 Talalay is the softer of the two, and gives more of a ‘cloud-like’ feel. It is also traditionally more expensive. To balance these two facts, we give one free talalay layer with all mattresses and do our best to keep your cost for adding additional talalay layers as low as possible. 100% dunlop latex mattresses are the only latex beds that can be certified organic because the talalay manufacturing process uses ammonia and is not congruent with GOLS standards. Dunlop also comes in a 100% natural option. All other factors being equal, dunlop is more firm and supportive than talalay. This is offset by dunlop being a bit more durable. 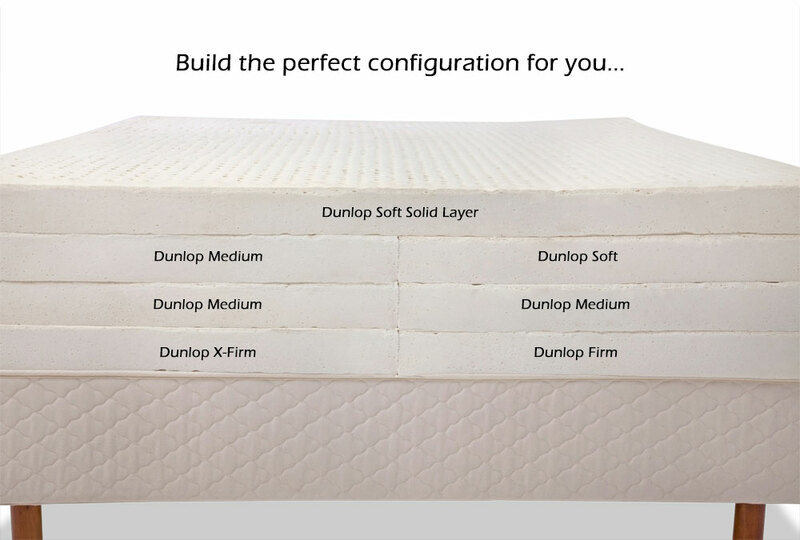 That’s why we generally recommend dunlop for the bottom support layers of your latex mattress. The cover is one aspect of a mattress most folks don’t consider until they set up their bed at home for the first time. You could have the highest quality, sustainably-sourced materials in the world but if they’re surrounded by the wrong cover there’s no guarantee you’ll have the comfortable and eco-friendly sleep you’re looking for. Naturally hypo-allergenic, our eco-wool will help keep you warm in the winter and cool in the summer by wicking away moisture. Wool is naturally an organic fabric and it’s ability to regulate body temperature makes it the best way to sleep cool at night. Both of these benefits made it an obvious choice for the main material in our mattress cover, which is sourced from hand-picked organic farms across the United States. United States law requires that all mattresses pass a standardized burn test to ensure it will not burst into flames in the event of a residential household fire. The most inexpensive way to “fire proof” or “fire retardant” a mattress is to use toxic chemicals that have been banned in Europe for decades but unfortunately this is what manny mattress companies choose to do. You don’t have to worry about that when you start Sleeping Organic. The fire barrier used in your Sleeping Organic latex mattress cover is made of wool and meets the US law (FR 1633) requirements. To create the fire barrier, wool fibers are woven into layers of batting then inserted under the organic cotton. The stainless steel rip-proof zipper is an important part of your new mattress because it represents our commitment to sourcing only the best materials, no matter how small. Since your mattress is made of individual latex layers that can be re-arranged as your sleep needs change over the next 20 years, it’s important to have dependable access to inside the cover. Happy with my latex bed! Because we manufacture the Sleeping Organic mattress in-house, we’re able to ‘remove the middle man’ and pass the savings on to you. We do this by manufacturing all Sleeping Organic bedding in-house and choosing to only sell online. This way, we’re able to effectively ‘remove the middle man’ and pass the savings along to you, without sacrificing quality, health, or product longevity. Unlike memory foam mattresses that are made from petroleum and unsustainable materials, latex mattresses are amongst the most durable, natural bedding products on Earth. And beyond the latex itself, your Sleeping Organic mattress is built to stand the test of time. It’s the last mattress you’ll buy for the next 20 years. Because we’d rather see you refer us to friends and family than make a bed with such poor materials that you’re forced to come buy another in 5-8 years. On top of our commitment to sourcing the world’s best materials, our choice of sustainability over profit means we’re able to offer one of the industry’s best warranties: a 20 year warranty with the first 10 years full, and the second 10 pro-rated. When you start Sleeping Organic, you have one hundred nights to swap out a layer or two if you need to adjust your mattress firmness. And because the bed is built in layers, you can even adjust the firmness without sending any layers back. Just swap a middle layer with your top layer and the bed will instantly become more firm. For this reason, we recommend ordering your bed on the softer side of how you want it to feel. For our full sleep trial information, click here. Because of the way we’ve built our mattress and set up our Sleep Trial, complete returns are pretty rare. That said, if you hate it, we hate that you hate it too. You have 45 full nights to return your mattress for a complete refund, no questions asked. For a complete outline of our return policy, click here. Hours of research for healthy, chemical free, mattresses for our family led us to Sleeping Organic. Couldn’t be happier with our purchase and love the versatility of the layers. Once you go organic, you never go back as they say. Or maybe that’s not what they say. Anyways…. These are our most popular products that get added to mattress orders. Each compliments the mattress in it’s own unique way. PS: did you hear pillows are free? Hand-made by Sleeping Organic in Charleston, SC, we designed this foundation to be the best foundation for latex mattresses on the market today. 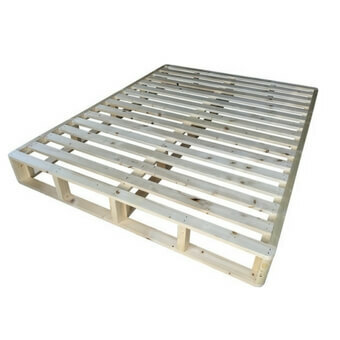 It’s made up of solid wood slats that provide a supportive surface for your Sleeping Organic mattress to lay on without sacrificing breathability. One of our best-selling products of all-time, the Sleeping Organic pillow is filled with the same premium latex foam you’ll find in our mattresses, but shredded. The pillow itself is customizable because you can take latex out to lower the loft, which is important if you’re a back or stomach sleeper. We’re giving you two for free with queen, king, and california king mattress purchases and one for free with twin, twin xl, and full size mattress orders. We carry a handful of mattress proctors, but our crowd favorite is the Gotchya covered waterproof mattress protector. Think of it as a mini-insurance policy for your bed. Where you’re going, spills don’t stand a chance! All-white are notorious for being heavily bleached with cotton to keep that crisp white color. Instead of bleach, we use a peroxiding process to make and keep our organic cotton sheets white. Below are some of the most common questions we hear about latex mattresses and the Sleeping Organic process. Is a rubber mattress the same? Yes, a rubber mattress and a latex mattress are the same. Because latex is made from the sap of a rubber tree, many folks refer to latex mattresses as rubber mattresses. What is synthetic, hybrid, and blended latex? Synthetic, hybrid, and blended latex mattresses all contain harmful chemicals and are neither 100% organic nor 100% natural. Many bedding companies falsely label these types of mattresses as ‘natural’ or ‘all-natural’ when in fact they contain the same harmful chemicals found in traditional mattresses. Do latex mattress sleep cool? Known for their reliability, latex mattresses last much longer than normal beds. Depending on the quality of latex and other materials used to manufacture the bed, a good quality latex mattress will last you 10-12 years. Because of our confidence in our product, the Sleeping Organic latex mattress is covered under warranty for 20 years. Can you make a cover without wool? Yes we have options to remove wool from our cover. Some options may require a documented prescription from your doctor. Please call us if you need a cover with out wool. Can you make custom mattress sizes? Yes, we can make virtually any size and shape mattress. Example of custom mattresses we have made include RV mattress, boat mattress, antique bed mattress, custom bunk mattresses and more. Please call us for a quote. GOLS stands for the Global Organic Latex Standard. GOLS sets the standard for organic latex worldwide, determining which latex is actually organic and which is not. Also known as confidence in textiles, OEKO-TEK is an independent label for various textiles. All organic textiles sourced by Sleeping Organic are tested for harmful substances through OEKO-TEK. LGA is a global certifying agency who preforms tests for chemicals, toxicity, carbon foot print, water foot print and product life cycle assessments. Originally a European certification, Eco-Institute’s services include manufacturing emissions testing and analyzing heavy metals, biocides, phthalates, fire retardants and more. Why are our mattresses more affordable than other latex brands? We’ve searched high and low to find the best 100% natural and organic bedding material sources in the world. On top of this, we only sell online which means we’re able to remove the traditional “middle man,” It’s our goal to give as many people as possible a 100% natural, personalized sleep. So instead of pocketing these savings, we choose to pass them along to you, making the Sleeping Organic mattress more affordable than other popular latex mattress companies. Why are you more expensive than local Mattress Firms? Local mattress stores, and even many “bed in a box” online retailers offer incredibly low price-points, but the sacrifice is that the mattresses themselves are not 100% natural. In many cases, they’re not even ‘natural’ or ‘all-natural.’ We choose not to compete in this space because it would be impossible to offer a non-toxic mattress if we did so. What's included with my mattress? Your Sleeping Organic mattress comes with the latex foam layers, organic cover, and free shredded latex pillows as a gift to you. We’ll ship you the latex layers and all you have to do is unbox them, insert them into the cover, toss the pillows on the bed, and voila! It’s time to start Sleeping Organic. How long does it take go receive my mattress? Mattress Only: Current shipping lead time is 3-4 business days. Current average delivery time is 10 business days. Mattress + Foundation: Current shipping lead time is 4-5 business days. Current average delivery time is 15 business days. In Home Delivery & Setup: Current shipping lead time is 5-6 business days. Current average delivery time is 20 business days. We do our best to ship as quickly as possible while maintaining the quality you expect when you chose Sleeping Organic. All mattress orders are hand made, assembled and inspected in our Charleston warehouse, located a few miles from our Mattress Store in Mount Pleasant, SC. Please note the above are current national averages and can vary depending upon order volume and production. What dimensions are the boxes? Mattress Shipping: Shipped best rate UPS Ground. Maximum box size 23″ x 23″ x 36″ @ 55lbs per box. Foundation Shipping: Shipped best rate UPS Ground. Maximum box size 77″ x 13″ x 12″, 80 lbs. Contiguous (Lower 48) United States: Standard shipping service included FREE. Alaska, Hawaii, & Canada: Additional service is required please fill out the form below to request a shipping quote.